It is unfortunate that some tenants damage and destroy property or set up illegal activities once they have the keys to the premises. Michigan Tenant Screening packages allow landlords to conduct thorough screening of every applicant. Properly screen every applicant and you will likely have far fewer issues with tenants living in your Michigan rental properties. You cannot judge an applicant based solely on their word that they have no criminal record and no eviction history. You must conduct extensive screening of every applicant. The American Apartment Owners Association makes the process easy with a variety of Michigan Tenant Screening packages that are sure to meet all your needs for screening rental applicants, whether you have one rental property or hundreds of Michigan rental properties. AAOA Offers the Best Michigan Tenant Screening Background Checks! Find out if your applicants were honest regarding their identity or their rental history. Discover if the applicant has serious credit issues when you obtain the free complimentary credit report that is included with every Michigan Tenant Screening package. Learn whether the applicant has been associated with terrorist activities, sexual offenses or other serious crimes. Michigan Tenant Screening gives you options to search beyond local police reports and convictions; you can also search an applicant’s criminal history by specific state and by search for federal offenses. Compare the information given to you by the prospective tenant with the results of the comprehensive Michigan Tenant Screening and you will easily see which applicants forgot to reveal a detail and which applicants blatantly lied during the Michigan Tenant Screening process. Quickly eliminate the applicants likely to give you nightmares, resulting in costly repairs to damaged property and eviction costs once they fail to pay rent or you learn they are using your rental property for their criminal activities. The Michigan Tenant Screening process is quick, easy and affordable, especially since the cost of tenant screening is often passed on to the tenant. Hand the keys to the applicant best suited as a trustworthy tenant who will pay rent when due and gladly say “sorry” to those who do not meet your Michigan Tenant Screening qualifications. The American Apartment Owners Association provides tenant screening background checks nationwide. 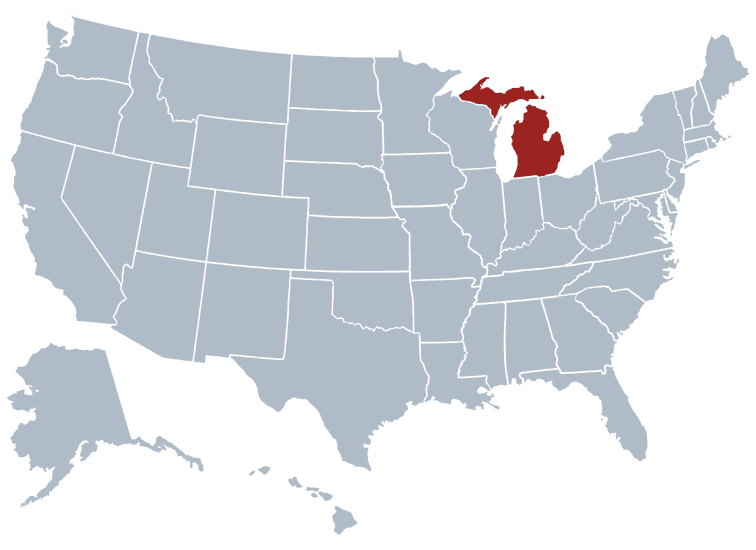 Looking for a tenant screening report in a state other than Michigan? Visit our Tenant Screening Background Checks page to learn more.